Estate planning is an important process to be carefully considered. Learn how to make an informed decision with our helpful tips on hiring a probate lawyer. Have you been appointed as the administrator of a deceased loved one's estate? Are you considering hiring a probate lawyer? Probate of an estate is the process of declaring the will of the deceased person to be valid and accurate and distributing their belongings. This makes the will officially the final say and will of the deceased person. The result of this process is that the deceased's executor or administrator is granted control of the assets. It is subsequently the expectation that the executor will distribute the assets to the heirs, as they are listed in the final will. It might not sound so complicated at this stage, but trust us it's really complex. It's also a huge responsibility for one person to undertake. After all, the consequences of error could result in a personal liability for the executor. This could end up with an exhausting and stressful court case. That's why many administrators conclude that they need to hire the services of a probate attorney to help you through the probating of the estate. Keep reading to find out the top 10 reasons to hire a probate lawyer in Canada. Probating an estate is a complicated and difficult process. As the executor, you could be expected to take on a range of responsibilities and duties related to the managing the estate and distributing it. Without the assistance of a probate lawyer, you could tie yourself in knots and get very confused. It's simply not worth risking making a mistake. After all, even the slightest error could have grave consequences. While being an executor named in the will involves a great deal of pressure and responsibility. Not to mention the emotional difficulty of recently losing a loved one. You don't want the legal problems that go with this if you make mistakes. That's why hiring a probate lawyer can reduce the stress and risk of errors. With the help of a professional and experienced attorney, you could find that the whole process goes much quicker as a result. Find out more about our legal resources, on our website. it's important to remember that the cost of hiring a probate attorney doesn't lie with you as the executor. But rather, the estate pays for any services or expenses involved in probating the estate. Finally, not all Wills are probated. For example, if there is a jointly owned asset, such as a house or bank account, most likely (almost always) that asset will pass to the surviving owner. The same with an asset with a named beneficiary, such as a life insurance policy or R.R.S.P. ; these assets will pass to the Beneficiary outside the estate; which negates the need to probate and estate if these are the only assets. Another important consideration are creditors. If a person owes money when the die -and- the only assets are those with a named beneficiary; it is most likely that unsecured creditors will not be able to seize these proceeds. Let's take a closer look at the top 10 reasons to hire a probate lawyer in Canada. Probating an estate without the assistance of a probate lawyer can increase the probability of conflict within the family. As a report for CBC warns, there is always a risk of tension between family members with any transfer of wealth. This can further intensify without legal assistance. Plus, it's perfectly reasonable that people who are associated with the deceased would want to be included in the probating process. However, if anyone other than the executor and probate lawyer become involved in the probate process, this could cause confusion and anger for many other members of the family and named heirs in the will. That's why it's best to eliminate the chances of any conflict arising in the family. With the help of a lawyer, there will be greater clarity in the probating process. This also reduces the probability of misunderstandings. And finally, by hiring a probate lawyer, you as the executor demonstrate to everyone that you are handling the estate planning process appropriately. You might be surprised to find out that the executor of the will doesn't get access to the estate straight away. This is only achieved after the probating of the estate. But the problem is that this can take quite a long time. The time it takes mostly depends on the size and complexity of the estate. For instance, if the deceased only owned one bank account and one property it could be relatively quick. However, it is often much more complicated than this. Even the shortest period of time you can go through the probate process is approximately three months. However, in many circumstances, it takes over a year to probate an estate. This not only means that the executor doesn't get access to the property, but also the life insurance policy, investments and bank accounts. However, with the help of a probate attorney, you can hasten the process. This way the executor can gain access to the estate much faster, which means the distribution of the assets is completed much earlier than without any legal assistance. There are many famous claims against estates that feature in the news, but this happens to ordinary people as well. There are many different circumstances in which there are claims against the estate. For example, it's not uncommon for someone to claim that they should be mentioned in the estate when they're not. Or, it could be that one of the beneficiaries claims that the estate is not being distributed fairly in accordance with the will of the deceased. If the deceased has outstanding debts, this might also result in a claim against the estate. However, many of these problems can be avoided or mitigated by hiring a probate lawyer. This is because this removes any feeling that individual members of the family are able to gain unfairly in the estate planning process. When probating an estate, the court requires certain legal documents to be completed and submitted. These legal documents require specific information that has to be set out in a particular way. If any mistakes are made in this process, this could cause the court to reject the estate. But if you hire a probate lawyer to assist you with completing and submitting these documents to the courts, you could save yourself the risk of being rejected. With the correct and timely submission of the legal documents, you'll avoid wasting time doing it again. After all, the court will keep rejecting your legal documents until they are right. If it takes you four and five times, so be it. But you can make sure it's done correctly and efficiently with the help of a lawyer. Being the executor of the will is not something that many people experience many times in their life. Therefore, it's perfectly normal to have endless questions about the probating and estate planning process. This could range from anything from - does every asset need require probate or just some? - to - Who pays the outstanding debts and bills of the deceased? Many of these questions can be quite stressful and risky if left unanswered. You might be having sleepless nights wondering whether you have notified everyone who needs to know about the passing away of the deceased person. You can make sure that you are well-informed and supported by hiring a probate lawyer to answer any question you have - no matter how big or small. As the executor, you're expected to take responsibility for any outstanding debts and any other expenses required in the probate and estate planning process. Handling their own finances is probably enough trouble for many people. Taking care of someone else's is extremely time-consuming and difficult on your own. Whether it's the unpaid income tax, general funeral expenses or personal loan payments, there are many potential financial problems that can arise after the death of a loved one. But it's difficult to find out about them and to address them. Every deceased person's financial situation is different. And therefore, the obstacles and problems are always different. Debt and loans are especially confusing and problematic. They can be handled most effectively with the legal advice of a probate lawyer. After identifying the financial problems, such as unpaid loans, it's time to deal with them. But without the legal assistance of a probate lawyer, there's always the risk of over or underpaying. The other problem that you might encounter as the executor of the will is the requirement to notify any creditors of the deceased. It is usually required to present a death certificate along with other legal documents to the creditors. There are many potential pitfalls when it comes to handling the finances of the deceased person. But you can easily overcome many of these with the aid of a probate lawyer. This way you can make sure you're completely on top of any financial issues so that you don't make any mistakes in such a sensitive area. 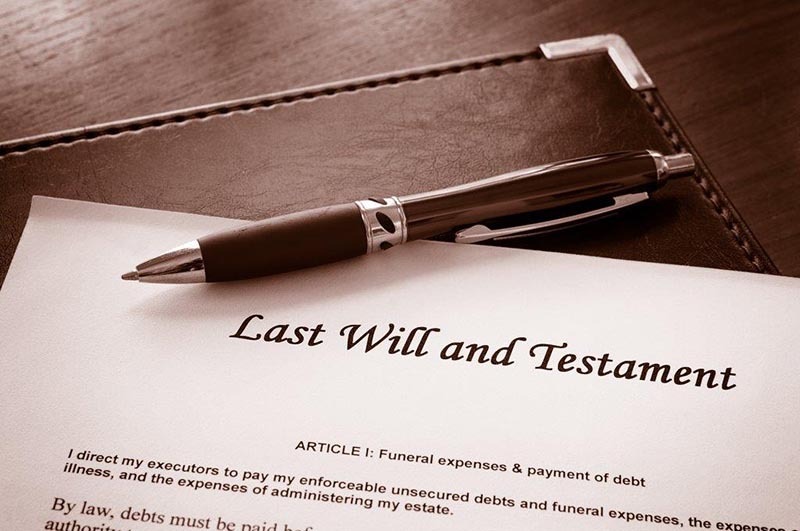 There are often reports of disputes and tensions among family members over the details of the will of the deceased person. The worst case scenario is that this disagreement results in a family probate lawsuit. This is definitely something you want to avoid. After all, any estate lawsuit is always going to take time and money. But there is also the emotional cost of damaging family ties. Therefore, by hiring a probate lawyer, you can significantly reduce the probability of a lawsuit going to court. Being the executor of the estate is a huge responsibility. There are many things to consider and take into account as the executor. There is also a variety of different tasks to carry out, which partly depends on the specific circumstances of the estate of the deceased. The executor has to read the will, get in touch with all of the beneficiaries and mediate disputes between people in the family. But these are only the primary tasks of the executor. There are also minor responsibilities from tying up loose ends to informing people of their loved one's death. It is in the middle of this huge workload that the support of a probate lawyer is invaluable. Not only can they offer you support with the everyday responsibilities, but they will also use their experience to guide along the way. There are a whole bunch of possible delays that could prevent the executor from carrying out his/her responsibilities. This is especially the case if the will has not been validated. If this happens, it's possible for the deceased's bank to deny any access to the executor. This can result in substantial delays to the whole process. You can have peace of mind by hiring a probate lawyer to contact banks, local authorities and other third parties. With experience and knowledge of how to handle such matters, they are likely to avoid any unnecessary delays in the process. Although it's true that you can probate the estate by yourself, this poses a significant risk of delays. By hiring a lawyer, you can ensure that everything is taken care of and that all the beneficiaries receive their assets in a timely matter. As the executor, you don't have to leave yourself with all of the responsibility of probating the estate. There are many legal pitfalls that you can into that can result in litigation against you. To avoid any of the legal issues and get the support you need for the estate planning, hire a probate lawyer. With an experienced lawyer by your side, you'll be able to ask any questions you have along the way. We have probated 1000's of estates; and, just as important have walked 1000's more through the process of avoiding the expensive cost of probate. We do offer free reviews of these types of situations to help you determine if probate is required or not. If you need a lawyer, don't wait until it's an emergency. If you have any questions about the probating process or the validation of a Will, head to our contact page to start a conversation with us or call us on (587) 410-2500 today. This entry was posted in probate lawyer by verhaeghelaw. Bookmark the permalink.